Isaac Wardell is the founder and managing member of Mallard Motors LLC, a used vehicle dealership specializing in selling to sub-prime and difficult credit customers. Founded in 2012 he quickly grew it to a multi-million dollar grossing company selling several hundred vehicles annually Currently Mallard Motors is the largest independent dealer in the county and one of the largest in southern Arkansas. In addition to Mallard Motors Isaac is also the co-founder of a real estate company: Big Idea Investments, a finance company: Funding Autos and a marketing company: Be Sighted Marketing. He also manages a few personal investments and his own independent brand. 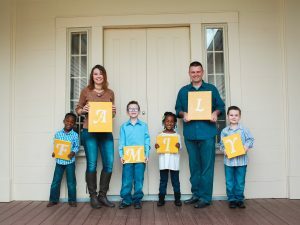 Isaac and his wife Rachelle have adopted four children and fostered dozens more. In 2015 they received the Angels in Adoption award from the Congressional Coalition on Adoption Institute after being nominated by Senator Tom Cotton.